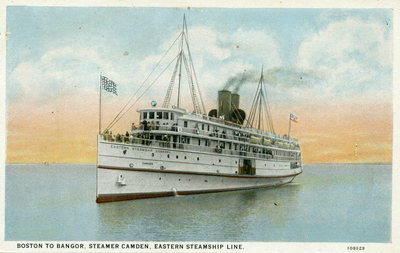 An image scanned from a color postcard with the caption, "Boston to Bangor, Steamer Camden, Eastern Ship Line." Printed by the C. T. American Art Company. No date.